Carol of the Skiddaw Yowes. Words by Ernest Casson. London: Boosey and Hawkes, . A Fifth Volume of Ten Songs. Ed. Michael Hurd. Contents: By a Bierside, Desire in Spring, Severn Meadows, Song of Ciabhan (The Isle of Peace), The Apple Orchard, The Cloths of Heaven, The Fields are Full, The Night of Trafalgar, The Twa Corbies, and Walking Song. London: Oxford University Press Music Department, 1979. 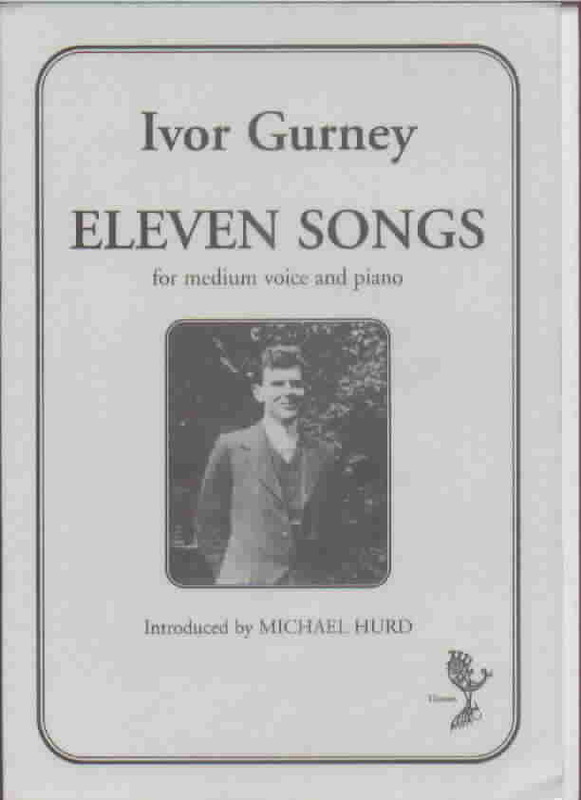 A First Volume of Ten Songs. Contents: The Singer, The Latmian Shepherd, Black Stitchel, Down by the Salley Gardens, All Night under the Moon, Nine of the Clock, You are my Sky, Ha’nacker Mill, When Death to Either shall Come, and Cathleen ni Houlihan. London: Oxford University Press, 1938. Five Elizabethan Songs for Voice and Piano. Contents: Orpheus, Tears, Under the Greenwood Tree, Sleep, and Spring. 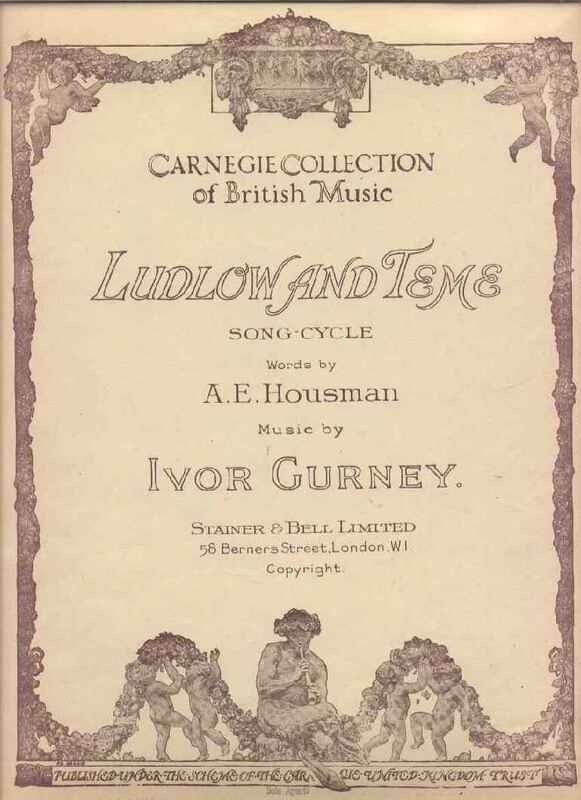 London: Boosey and Hawkes, 1920. Five Preludes. London: Winthrop Rogers, 1921. Prelude in F# major and Prelude in Db appear in Boosey & Hawkes 20th Century Piano Collection, 1900-1945 (ISMN: M060107573, with works by Quilter, Benjamin, Delius, and Bridge) and are available from Boosey & Hawkes in the score collection or by download (� 1.99 each prelude). 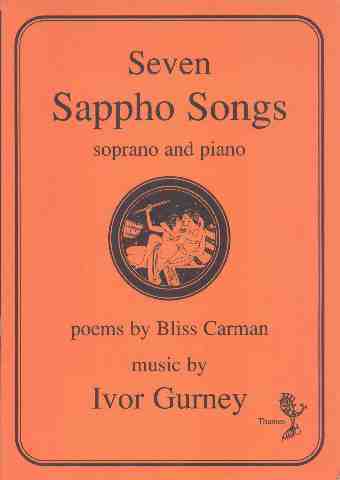 A Fourth Volume of Ten Songs. Contents: Even such is Time, Brown is my Love, Love Shakes my Soul, Most Holy Night, To Violets, On the Downs, A Piper, A Cradle Song, The Fiddler of Dooney, and In Flanders. Oxford: Oxford University Press, 1959. Lights Out. On poems by Edward Thomas. Contents: The Penny Whistle, Scents, Bright Clouds, Lights Out, Will you come?, and The Trumpet. London: Stainer and Bell, 1926. Ridout, Alan, ed. The Singer’s Collection. For High Voice and Piano. 2 vols. Contents: vol. 1, Nine of the Clock, Hawk and Buckle; vol. 2, Down by the Salley Gardens, and Bread and Cherries. Bury St. Edmunds, Suffolk: K. Mayhew, 1992. A Second Volume of Ten Songs. Contents: The Scribe, The Boat is Chafing, Bread and Cherries, An Epitaph, Blaweary, A Sword, The Folly of being Comforted, Hawk and Buckle, Last Hours, and Epitaph in Old Mode. London: Oxford University Press, 1938. Severn Meadows. Oxford: Oxford University Press, 1928. Sleep. Songs with Piano [Series]. Winthrop Rogers Edition. 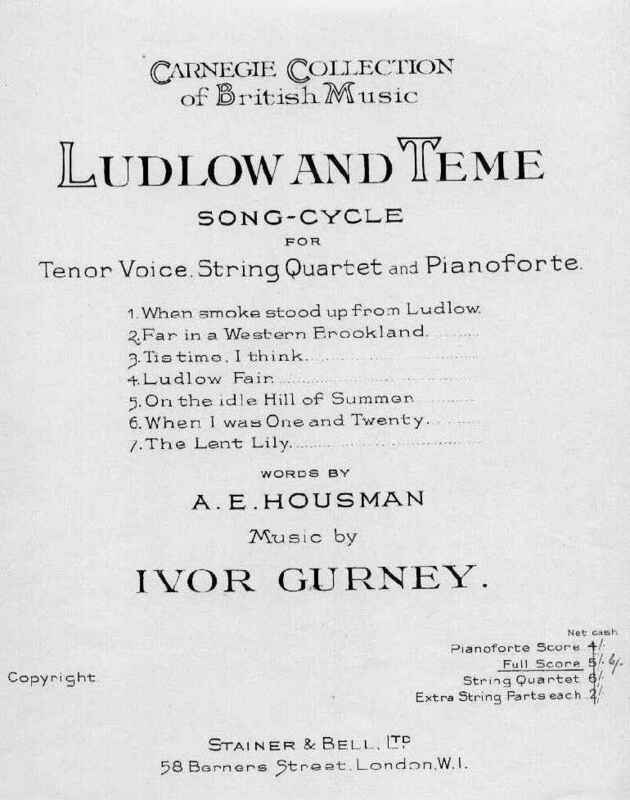 London: Boosey & Hawkes, 1920. A Third Volume of Ten Songs. Contents: Shepherd’s Song, The Happy Tree, The Cherry Trees, I shall ever be Maiden, Ploughman Singing, I Praise the Tender Flower, Snow, Thou didst Delight my Eyes, The Ship, and Goodnight to the Meadow. London: Oxford University Press, 1952. Two Pieces for Violin & Piano: 1. The Apple Orchard. 2. Scherzo. London: Oxford University Press, 1940. 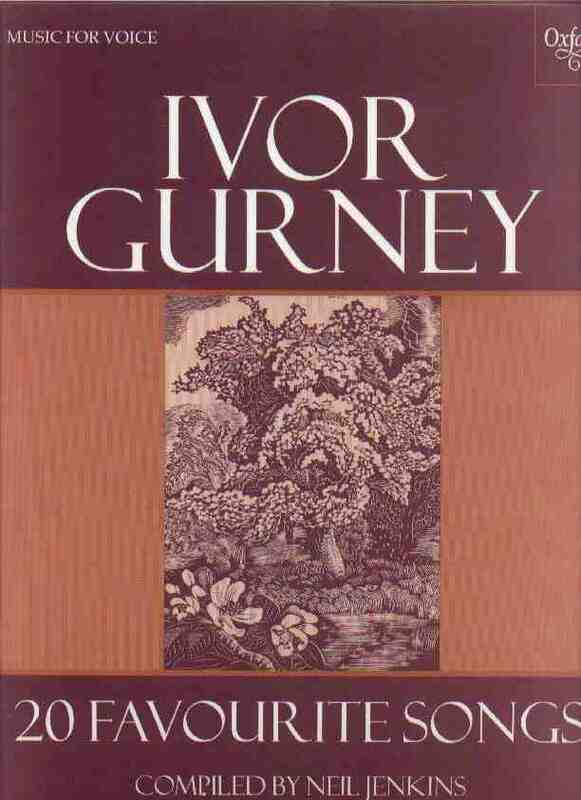 Notes: For a more complete bibliography of Gurney materials and further details on these scores, articles and dissertations, please consult Thornton and Walter’s Ivor Gurney: Towards a Bibliography. Next to some of the above entries are Links to Distributors who may be able to supply copies for purchase. Listing of Distributors does not constitute endorsement.